At Bowdoin Marketing we focus our representation of the manufacturer to the Midwest market. Our sales people are located throughout the region, which enables them to quickly respond to their customers' needs. 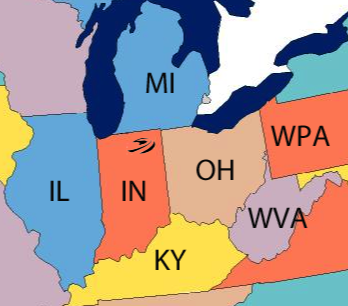 Illinois, Indiana, Michigan, Ohio, W. Pennsylvania, West Virginia and Kentucky are the states that Bowdoin Marketing services.